ALPPM (Asian leading product packaging manufacturer), located in Shanghai, China. We have our own factory, Germany imported Heidelberg six-color UV printing machinery and have passed ISO9001:2005 as well as many inspection reports and inspection certificates. ALPPM has satisfied clients all over the world. It is a legal company which fulfills all the respective conditions and incentives that makes it an insured business. The company is running successfully to give its clients excellent paper packaged goods and services. Paper packaging has been used extensively in recent years. This is because the advantages of paper packaging are endless. It is a fine process which is quick in its tasks, able to produce good quality neat packaging. Paper packaging is a manageable process which is eco-friendly. It is great to accommodate, foods, drinks and other goods by adding customer value and appeal. They help make the product more aesthetically appealing by adding value as well. Paper packaging may not be very common among storing foods as they are mostly stored in air-tight plastic wraps. However, they are increasingly gaining popularity due to the fact that paper packaging is eco-friendly. 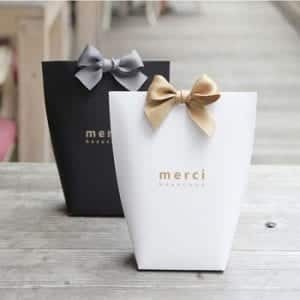 Regardless of the fact that they encountering super competition among other packaging options, paper packaging is being favored due to its numerous advantages. Here are some of the major advantages of paper packaging. One thing we cannot ignore is the fact that paper advertising is super quick and easy. Several companies prefer to advertise on paper since it costs less and the printing does not take a lot of time. In fact, paper advertising especially paper bags are increasingly becoming a status symbol. Paper bags are found to be more attractive. Companies are more inclined to using paper bags as customer prefer paper bags more. As a result, free endorsement and advertising are achieved by businesses. Paper packaging is eco-friendly since paper is recyclable. It also benefits a lot of users as they can be easily managed and taken care of. The things about the paper are that it is recyclable and biodegradable. At a time when we are already worrying about global warming, the paper gives us a chance to lessen the use of materials that are eating up our non-renewable resources. Paper bags are made with the aid of renewable resources. They can be used repeatedly and can be shipped to recycling plants where they are made again. Paper packaging automatically adds the professional touch to a certain something. When you buy tea, coffee, nuts, spices or snacks in a good quality paper bag, the paper bag will have a professional appeal to them. Moreover, customers are more attracted to a paper bag which can be great for the marketing strategy of a company. Companies have the freedom to customize them for the promotion of their company just the way they like it. They also look great which gives it the aesthetics along with the professional appeal you need. The really best thing about the paper packaging is that they are flexible. They can withstand any kind of printing. Moreover, paper packaging can be used for a broad range of foods, as well as drinks. 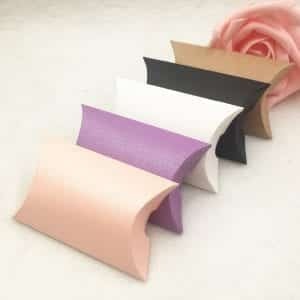 Paper can be shaped, glued and attached as per choice. Paper is not very stiff, which makes it versatile and easy to work with. Yes, the paper packaging has numerous advantages, but there are several areas where paper packaging might not be the most sensible choice for us. Here are some of the disadvantages of paper packaging you should be aware of. The worst thing about the paper packaging is that they tear easily. Paper packaged goods are more inclined to tearing. They cannot withstand a lot of weight. The paper packaging does not usually come with a handle support. This is why it is somewhat difficult for costumers to carry them. If you are carrying something warm, the food will get cold and the paper will also get soggy. It will become even more fragile and is more inclined to break. Not all types of paper bags are recycled. Paper bags take their time to be treated so they can be used again. ALPPM (Asian leading product packaging manufacturer) is covering numerous categories. It is providing several packaging options. We have a wide range of options and categories for you to choose from. Paper is being extensively used all over the world. 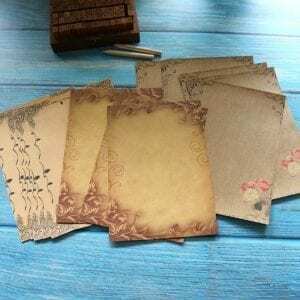 Due to its numerous benefits, several industries have adopted paper as their raw material for the production of various goods. Moreover, a paper is also being consumed as a packaging option. Paper bags are widely used in numerous grocery stores. In addition, numerous stores of apparel, stationery, etc. make use of paper bags for various reasons. Paper bags are adopted by several companies due to the fact that they look appealing and are recyclable. People prefer using paper plates as they can be disposed of easily. Especially when you are hosting a party and you don’t want to wash the dishes later; paper plates can be your hero. Paper plates are ideally used at home and also at several restaurants or food trucks. This is because they can be easily disposed of. 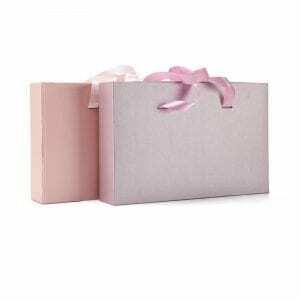 Paper custom boxes are loved by people as they are super handy and do not even cost that much. These boxes look great when you want to give your guests candy on your daughter’s birthday. Paper-based packaging is also adopted by various companies for the retail of their goods. Paper-based containers are being widely used for storing products. Another widely used good that is used due to the fact that it is cheap and can be easily disposed of. Paper cups are always an easy option to cater to drinks at a party. They are easier to make, cheaper in price and the raw material is biodegradable which makes them a great option. Toilet paper is also a very common paper product. Every household daily uses an ample amount of paper for various purposes. Not just that, paper tissues are a necessity for numerous restaurants and cafes and we cannot disagree with that. Designing paper packaging is not a hard task. With the aid of some significant tips and tricks, you can easily create your own design and get started with your paper packaging. Here are the three common points that you can give you a pathway towards a successful paper packaging. This is the first step that you take for your design of the paper packaging. You have to decide what will go on the paper. The logo, any text, image or any kind of content that you want to go on your packaged product. You can look for good software like photoshop or illustrator. This software is great in helping you create your own content. Try different designs with variation in color options and orientation to help you come up with the best possible content that will go on your packaged design. The software can give you an idea concerning all that you want in your final product. This will leave no surprises. You can also use the softcopy to explain your design to the manufacturing printing company. This way the paper packaging company will be well aware of what you are asking them. They will also be able to highlight any changes or improvisation that is probably in the design. Before you get your design, box made, you should test it so that you can identify any errors. Having a 3D design will help you know how the box will look in reality. Don’t just forward the design to manufacturing. If your respective logo does not appear very good, you might lose a lot of money and time. This is why it is great if you have a 3D design made. You can take help of some software such as 3D Max or Solid Works. Before your design goes for manufacturing, or you have to show it to your client, make a template first. The template will help you know about the dimensions of your package first. Get your design template approved from the printer and the client before you forward it to manufacturing. ALPPM has several years of experience which make it an ideal choice for you. If you are looking for the best paper packaging company that could help you carry out all the respective processes involved in paper packaging from the initial design to wholesale orders, ALPPM is here for you. Our capable staff is well versed in several areas, making sure there is no error in your final order. We welcome every order of yours that you need in large quantities. Our factory is well-equipped with numerous machines that are able to mass produce your design. There will be no compromise on quality. You order will be delivered to you on time. Our team is trained to cater to your needs and provide assistance in all the way possible. Moreover, we also welcome custom orders where you can tell us all the respective designs or layouts that you want us to have on your final paper packaged product. In case you need paper packaging for advertisement or storing any goods, we have got it all. We cover all the respective packaging options. Furthermore, custom orders are also entertained by our competent team. You can share with our team what you are wanting and we will cater to that. If you need our help, we will help with the improvising as well so that your final product comes out as good as you want. ALPPM is the best choice for you! We hire the best staff that will cater to your needs at all costs. Our staff and machinery are well-equipped with all the latest trends to give you the finest work and make sure you get the good-quality product within the deadlines planned. Our company bears no compromise on quality. We use the best quality material along with the ideal machinery and printing processes. We revise the orders and take thorough insights before forwarding the order to the production line. This makes sure the printing is carried out in the most effective manner with zero errors. We have a wonderful team which values the time and money that you hand over to us. Our services are unmatched. 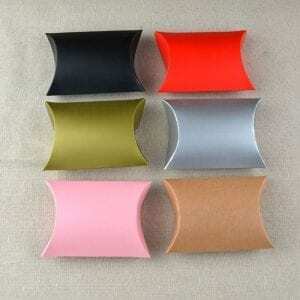 We ensure great quality work and provide guarantee concerning the durability of our goods. Our customer base is globally diverse. Our work experience and the satisfaction of our clients is able to highlight the fact that ALPPM is the ideal choice for your paper packaging good or service that you are looking for. Our wide sales highlight our production capability. We deal with numerous countries and deliver all around the world. Our market is widespread around the globe. ALPPM has the best production capability due to the fact that our factories own advanced machinery. Our latest machines include automatic folder glue, press printing machines and die cutting machines. All our machines are imported and are used by a highly trained staff that are well versed in all that they deal with. This entry was posted in Paper Packaging and tagged packaging, paper box, paper packaging, product packaging.